Rent Grant Grill | Corporate Events | Wedding Locations, Event Spaces and Party Venues. Start your morning with flavors from South of the Border with Chicken Migas, or taste the best of the farmer’s market with an omelet of summer squash, roasted peppers and fontina cheese. When the clock strikes noon, power lunch at our downtown San Diego restaurant, Monday-Friday where local politicians, lawyers and executives have been making deals since 1951. 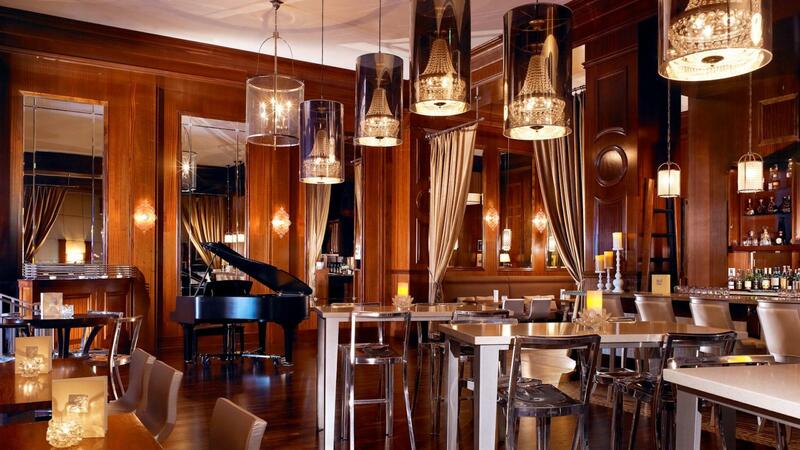 Revive the Supper Club experience with a weekend date night dinner, followed by dancing in the adjoining Lounge. Reserve the Private Dining Room for special occasions befitting of the best culinary experience San Diego has to offer. With seating for up to 12 Guests, the Grant Grill San Diego Private Dining Room boasts an intimate setting, crowned with ornate mahogany finishes, historic photos and is home of the Grant Grill’s wine vault. Be it a business meeting, wedding reception, anniversary, birthday or other celebration, the Private Dining Room provides a chic backdrop for you to bring your vision to life . Let our culinary team prepare a customized menu of market-fresh California cuisine for Breakfast, Lunch, Dinner or Brunch events. Enhancement options include personalized menus with company logos or family slogans, 3-5 coursed meals with wine or craft cocktail pairings curated by our Sommelier and the option of a secure online method of pre-authorized payment so there is no discussion on who pays the bill. Larger groups can also be accommodated in the Grant Grill’s Main Dining Room with sleek wood finishes and crisp, white linens. For the ultimate privacy, full and partial buyouts of the Dining Room are also available. This venue provides up to 110 guests with as-is seating, a maximum of 25 guests on one long boardroom style table or 55 guests with a refined round table experience in the center of our open spaced dining room. For Social Receptions, the Grant Grill Lounge provides an inviting backdrop for versatile receptions with live entertainment, tantalizing beverages and gourmet bites. Join in the fun and create a signature cocktail along with our Mixologist Jeff Josenhans, to enrich your unique event. For any imaginable social gatherings meant to be celebrated in legendary style, reserve our semi-secluded Upper Lounge area. This area has a semi-private subsection for smaller more intimate social groups of 12 or less. Or the full Upper Lounge area which can host up to 40 people. Not Exclusive enough? Host up to 100 guests in a full Lounge private event.